I lie broad wings of the Alpine (. 'bough, with their splayed, fingerlike tips, enable it to fly strongly and skillfully in turbulent mountain winds. I lere it soars and glides on air currents and performs aerobatic flights. With its small head, slender bill, and high pitched, trilling whistle, it is unlike most other members of the crow family. On the ground it walks and runs actively on short legs, probing in rock crevices and open pastures. Although it feeds mainly on insects, snails, and fruit, it will also scavenge on spiral I animal carcasses and search for scraps at garbage dumps and picnic sites. 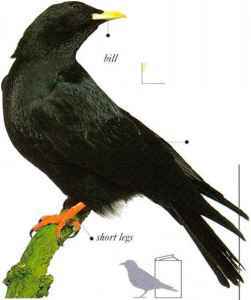 The Alpine Chough inhabits high mountains in summer, descending to lowlands in winter. 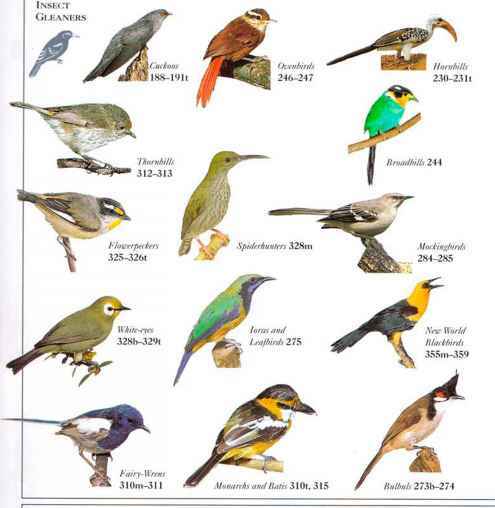 A highly sociable species, it lives in flocks composed mainly of strongly bonded pairs. Flocks roost communally in caves and large crevices, and the pairs often nest in the same sites, though some distance apart. • NliST A mass of sticks and dry roots, either in a large crevice or on a cave ledge. • DISTRIBUTION Spain and N.W. Africa through S. Kurope and Middle East to Asia.